The press days for the 2018 Geneva Auto Show are set to occur on March 6th and 7th, followed by a public show that will run through March 18th of 2018. 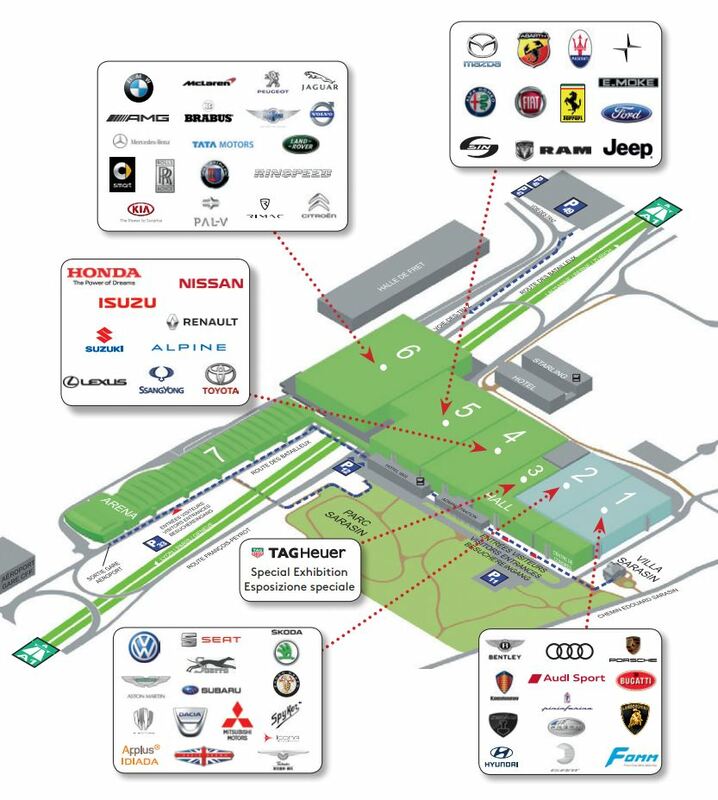 "The Geneva International Motor Show is Europe's only annual international motor show ranking among the global top five (alongside Frankfurt, Paris, Detroit and Tokyo) to be recognised by OICA (the International Organisation of Motor Vehicle Manufacturers)." More details can be found at the official website for the 2018 Geneva Motor Show. To view the AutoKnowledge coverage from the show you may load the 2018 Geneva Auto Show saved workspace in our Vehicle Information Center. Alfa Romeo 4C 18 Convertible Europe Trim Integrated Captured 4C Spider Italia 1.7L turbo I-4 6-Spd DCT RWD Convertible New 4C Spider Italia trim - wears Misano Blue paint, yellow brake calipers, and Spider Italia badging on the lower side panel. Meanwhile, the interior of the Spider Italia features yellow stitching on the seats, steering wheel, dashboard, and doors and a dash-mounted Italia badge. Alfa Romeo 4C 18 Coupe Europe Trim Integrated Captured 4C Competizione 1.7L turbo I-4 6-Spd DCT RWD Coupe New 4C Competizione trim include Vesuvio Gray paint, optional Competizione-exclusive exterior stripes, dark-finish five-spoke wheels, red brake calipers, and a handful of carbon-fiber details, including the roof, rear spoiler, exterior mirror caps, side air vents, and headlight moldings. Inside, the model gets red contrast stitching on the seats and steering wheel, as well as a special Competizione badge. Alfa Romeo Giulia 18 Sedan Europe Trim Integrated Captured NRING Edition 2.9L twin turbo V-6 8-Spd AT AWD Sedan Nurburgring-inspired special editions pay tribute to the brand’s effort in breaking Nordschleife records. Alfa Romeo Stelvio 18 Europe Trim Integrated Captured NRING Edition 2.9L twin turbo V-6 8-Spd AT AWD Nurburgring-inspired special editions pay tribute to the brand’s effort in breaking Nordschleife records. Audi A6 19 Sedan Europe Redesign Integrated Captured A6 50 TDI 3.0L turbodiesel V-6 8-Spd AT AWD Sedan Redesigned A6 gains Level 3 autonomous tech first seen on the new A8. Cupra Ateca 18 Europe Debut Integrated N/A Cupra 2.0L turbo I-4 7-Spd DCT AWD Seat is launching Cupra as a sub-brand for performance models. Fiat 124 18 Convertible Europe Trim Integrated Integrated Abarth GT 1.4L turbo I-4 6-Spd MT RWD Convertible Fiat is introducing a GT trim for the 124 Abarth Spider with a removeable carbon fiber hardtop. Fiat 124 18 Convertible Europe Trim Integrated Captured S-Design 1.6L turbodiesel I-4 6-Spd DCT RWD Convertible Fiat is introducing an S-Design trim for the 124 Spider with unique red exterior decals, new wheel designs, and interior touches. Fiat 500 18 Convertible Europe Trim Integrated Captured Mirror Edition 1.2L I-4 5-Spd MT FWD Convertible Fiat is introducing a special Mirror editon of the 500 coupe and convertible. Fiat Tipo 18 5-Door Europe Trim Integrated Integrated S-Design 1.4L turbo I-4 6-Spd MT FWD 5-Door Fiat Tipo S-Design trims added to the lineup. Ford Edge 19 Europe Refresh Integrated Integrated ST Line 2.0L twin turbodiesel I-4 8-Spd AT AWD EU debut of the refreshed Edge - Europe also sees a new 2.0L twin turbodiesel engine making 235 bhp. Honda CR-V 18 Europe Redesign Integrated Integrated EX-L w/Navi 1.5L turbo I-4 2-Spd CVT AWD EU debut of the redesigned CR-V - European versions receive an optional 3rd row of seats. Hyundai Kona 19 Electric Europe Alt Energy Integrated Integrated Long Range Electric 1-Spd AT FWD Hyundai's Konda compact CUV gains an all electric model available with two different battery packs - a normal range and long range. Hyundai Santa Fe 19 Europe Redesign Integrated N/A Santa Fe 2.2L turbodiesel I-4 8-Spd AT AWD The Santa Fe CUV is redesigned - in the US this will take the place of the Santa Fe Sport, and a larger model will be added down the line. Jaguar I-Pace 19 Electric Europe Debut Integrated Integrated First Edition Electric 1-Spd AT AWD Jaguar's I-Pace electric CUV receives it's production model debut. Jeep Cherokee 19 Europe Refresh Integrated Integrated Overland 2.0L turbodiesel I-4 9-Spd AT 4x4 EU debut of refreshed Jeep Cherokee with new front end and 2.0L Hurricane turbo I-4. Jeep Wrangler JL 18 Europe Redesign Integrated N/A Sahara 3.6L V-6 6-Spd MT 4x4 EU debut of redesigned Wrangler. Kia Optima 18 Wagon Europe Refresh Integrated Integrated GT Line 2.0L turbo I-4 7-Spd DCT FWD Wagon Kia is debuting a refreshed Optima with a new 1.6L diesel engine. Kia Rio 18 5-Door Europe Trim Integrated Integrated GT Line 1.0L turbo I-3 6-Spd MT FWD 5-Door GT Line sporty trim for the small Rio 5-Door. Lexus RC 18 Coupe Europe Trim Integrated N/A RC F 10th Anniversary Edition 5.0L V-8 8-Spd AT RWD Coupe EU debut of the 10th Anniversary edition RC F.
Lexus RC 18 Hybrid Europe Trim Integrated Integrated RC 300h F Sport Black Edition 2.5L I-4 2-Spd CVT RWD Hybrid F Sport Black Edition debuts on the RC Hybrid. Lexus UX 19 Hybrid Europe Debut Integrated N/A UX 250h 2.0L I-4 2-Spd CVT AWD Hybrid Lexus has unveiled a production version of the UX compact crossover - a concept version has premiered at the 2016 Paris auto show. The UX looks a bit like a smaller NX with unique design cues tossed in, such as the upright vents in front and the full-width taillights. Lexus has promised "exceptional body rigidity," and a low center of gravity (the UX's platform is borrowed from the Toyota C-HR). 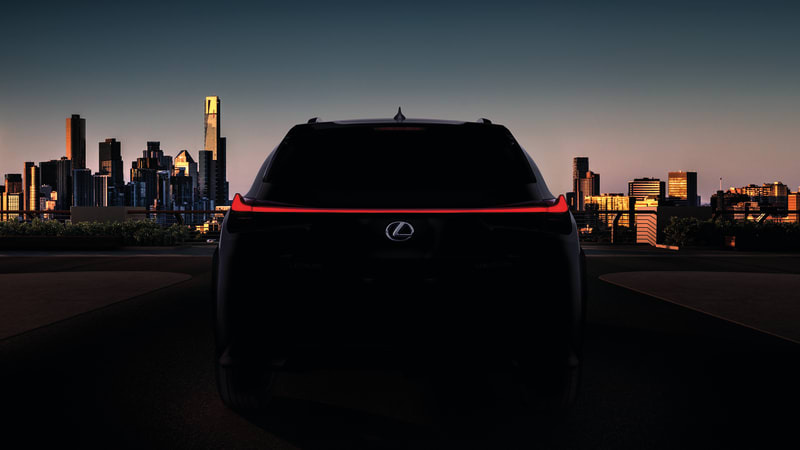 As far as trim levels go, Lexus trademarked UX 200, UX 250, and UX 250h. The instrument panel - topped by a widescreen infotainment center - looks like a minimalist rework of the Lexus RX interior. The gauge cluster has physical dividers but appears to be completely digital. Mazda6 18 Wagon Europe Refresh Integrated N/A Signature 2.5L I-4 6-Spd AT FWD Wagon Mazda6 Touring (Wagon) receives the same refreshed styling as the US sedan. Mercedes-Benz A-Class 19 5-Door Europe Redesign Integrated N/A A 200 1.5L turbodiesel I-4 7-Spd DCT AWD 5-Door Mercedes' A-Class small hatchback is redesigned with cues from the Concept A Sedan. Mercedes-Benz AMG GT 19 Sedan Europe Debut Integrated Integrated AMG GT 53 3.0L turbo I-6 9-Spd AT AWD Sedan Mercedes released an AMG GT 4-Door that is built on the bones of the E-Class wagon and integrates styling cues from the AMG GT coupe and convertible. This may take the place of the CLS-Class in the lineup. Mercedes-Benz AMG GT 19 Sedan Europe Debut Integrated Integrated AMG GT 63 4.0L twin turbo V-8 7-Spd AT AWD Sedan Mercedes released an AMG GT 4-Door that is built on the bones of the E-Class wagon and integrates styling cues from the AMG GT coupe and convertible. This may take the place of the CLS-Class in the lineup. Mercedes-Benz C-Class 19 Sedan Europe Refresh Integrated Integrated AMG C 43 3.0L V-6 9-Spd AT AWD Sedan Mercedes has refreshed the C-Class, there is also a revised AMG C 43 trim with additional horspower and a nine-speed automatic transmission. Mercedes-Benz CLA-Class 18 Wagon Europe Trim Integrated Integrated CLA 200d Night Sky Edition 2.1L turbodiesel I-4 7-Spd DCT RWD Wagon Night Edition adds AMG styling to the exterior and an Urban Line interior in black with white accents. Mercedes-Benz G-Class 19 Europe Trim Integrated Integrated AMG G 63 4.0L twin turbo V-8 9-Spd AT 4x4 G 63 AMG version of the recently launched redesigned G-Class. Mercedes-Benz S-Class 19 Sedan Europe Trim Integrated Integrated Mercedes-Maybach S 650 4.0L twin turbo V-8 9-Spd AT AWD Sedan Maybach S-Class models are receiving updated styling cues. Mercedes-Benz X-Class 18 Crew Cab Europe Trim Integrated Integrated X 350d 3.0L turbodiesel V-6 7-Spd AT 4x4 Crew Cab V-6 power comes to the X-Class pickup truck. Mitsubishi Outlander 19 Plug-In Hybrid Europe Refresh Integrated Integrated GT 2.4L I-4 1-Spd AT 4x4 Plug-In Hybrid Powertrain and design tweaks make for a more modern and more efficient Outlander PHEV. Peugeot Rifter 19 Europe Debut Integrated N/A Allure 1.2L I-4 8-Spd AT FWD Peugeot's Rifter replaces the Partner Tepee in their lineup. The Rifter is based on the EMP2 platform and shares much of it's bodystyle with the Citroen Berlingo and Opel Combo Life. Porsche 911 19 Coupe Europe Trim Integrated Integrated GT3 RS 4.0L H-6 7-Spd DCT RWD Coupe Porsche is introducing a 911 GT3 RS variant - it uses a naturally aspirated 4.0L H-6 making 520 hp and slots beneath the GT2 (which makes 700 hp from a twin turbo version of the 4.0L). Skoda Vision X Concept Concept Integrated Integrated Skoda Vision X Concept Skoda's Vision X concept previews a smaller CUV meant to compete with the Seat Arona. The CNG hybrid system in the Vision X features a 1.5-litre four-cylinder turbocharged engine that runs on CNG and drives the front axle with 129bhp and 184lb ft of torque. The engine is supported by two electric motors: a belt-driven starter-generator that also powers the front axle, with a second 27bhp electric motor on the rear axle. That motor offers 52lb ft of torque from standstill, although the use of a gearbox allows it to bring 737lb ft to the road. Smart EQ forfour 19 5-Door Electric Europe Trim Captured Captured EQ Nightsky Electric 1-Spd AT RWD 5-Door Smart is rebranding the fortwo and fourfour models EQ fortwo and EQ forfour and showing off new Nightsky editions. Smart EQ fortwo 19 Coupe Electric Trim Integrated Integrated EQ Nightsky Electric 1-Spd AT RWD Coupe Smart is rebranding the fortwo and fourfour models EQ fortwo and EQ forfour and showing off new Nightsky editions. Toyota Auris 18 5-Door Hybrid Europe Redesign Integrated Captured Auris 2.0L I-4 2-Spd CVT AWD 5-Door The Auris moves to the TNGA platform and gains a new 2.0L hybrid powertrain as well as a direct shift-CVT. Toyota Aygo 18 5-Door Europe Refresh Integrated Integrated X-Cite 1.0L I-3 5-Spd MT FWD 5-Door Toyota is refreshing the Aygo with slight styling tweaks, a revised version of it's 1.0L I-3 engine that is more efficient than before, and new interior trim and infotainment options. Toyota GR Supra Racing Concept Debut Integrated N/A Toyota GR Supra Racing Concept Toyota and BMW have been working on a sports car platform that will underpin the next BMW Z4 and the returning Toyota Supra - this concept is the first glimpse of the final styling, though still extreme thanks to it's race car modiications. Volvo V60 19 Wagon Europe Redesign Integrated N/A D4 2.0L turbo I-4 8-Spd AT AWD Wagon Volvo has redesigned the V60 wagon - it shares the Scalable Product Architecture platfrom with the V/S90, XC60, and XC90. It is also the first Volvo vehicle to offer two different levels of plug-in hybrid trims. Volvo V60 19 Wagon Europe Redesign Integrated N/A T6 Platinum 2.0L turbo and supercharged I-4 8-Spd AT AWD Wagon Volvo has redesigned the V60 wagon - it shares the Scalable Product Architecture platfrom with the V/S90, XC60, and XC90. It is also the first Volvo vehicle to offer two different levels of plug-in hybrid trims. Volvo V60 19 Wagon Plug-In Hybrid Europe Redesign Integrated N/A T6 Inscription 2.0L turbo and supercharged I-4 8-Spd AT AWD Wagon Volvo has redesigned the V60 wagon - it shares the Scalable Product Architecture platfrom with the V/S90, XC60, and XC90. It is also the first Volvo vehicle to offer two different levels of plug-in hybrid trims. 2019 Lexus UX: The UX is a new CUV from Lexus that will slot below the NX in their lineup. It is reportedly going to share a platform with the Toyota CH-R and will feature styling cues from 2016's UX Concept. 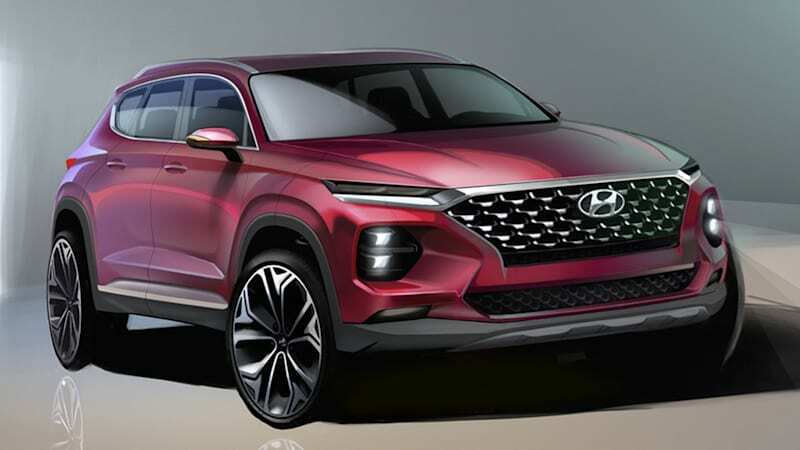 2019 Hyundai Santa Fe: Hyundai has redesigned the Santa Fe crossover with styling cues like their latest 'cascade' grille shape and forward lighting similar to their new Kona model. Volkswagen I.D. Vizzion Concept: The I.D. Vizzion presents Volkswagen's idea of what a future all-electric autonomous vehicle should look like. The concept has no steering wheel or pedals and could theoretically travel 413 miles on a single charge.